Typically, silver is sold in 1 ounce rounds or coins, but this silver bullion round is only ½ troy ounce. This popular silver round’s design is based on the famous Indian Head Nickel of 1913, originally designed by James Earle Fraser. Round weighs a minimum of ½ troy ounce. Consists of .999 or 99.9% fine silver bullion. 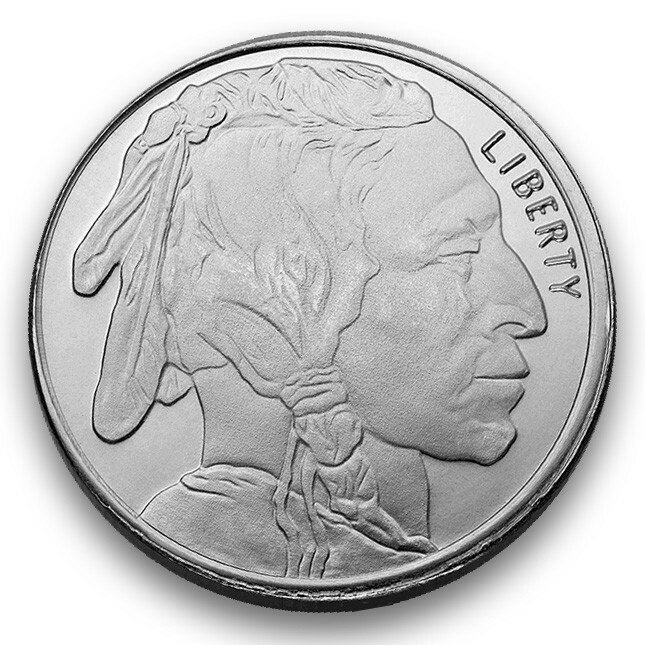 Design modeled after Indian Head Nickel of 1913. This smaller size gives this silver bullion round (and other fractional rounds) some unique attributes. First, if you’re investing in silver on a tight budget, the ½ ounce size lets you purchase more often. Second, the ½ ounce size gives you twice the control when it comes time to sell. This is especially important to investors who believe the silver price will be much higher in the future. More control means you can decide more precisely how much you want to sell at any one time. Third, this silver bullion round is great for a gift. Its smaller size means it is less expensive overall than a full ounce of silver. This is especially helpful if you’re buying gifts for more than a few people. This is a great way to introduce someone to silver money or for someone starting off their bullion collection. The front of the round shows the Native American looking East. Around the Edge of the coin is stamped the word “LIBERTY.” James Fraser actually used three living Indian Chiefs as models for his coin: Big Tree, Iron Tail, and Two Moons. 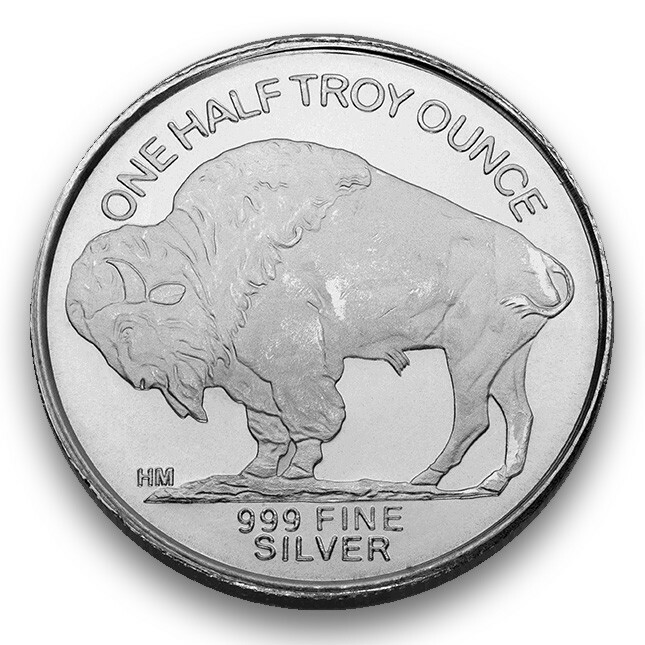 On the back of the coin is shown the weight in ounces “ ONE HALF TROY OUNCE”. In the center is featured the iconic American Buffalo and beneath is the manufacturer's mark “HM” (for Highland Mint), and “999 FINE SILVER” the purity & metal content. The Highland Mint was established in the early 1980s. They are based in Melbourne, Florida. They are known for sports memorabilia, cards, and coins, made for baseball, football, and other professional sports leagues. They also produce high-quality silver rounds & bullion products.